FORT LAUDERDALE, Fla. -- A suspected serial killer, now off the streets of South Florida, allegedly left a bloody message next to one of the victims, CBS Miami station WFOR-TV reports. He allegedly wrote "4 Stop Wait Time" in the blood of his fourth victim, Derick Tucker. Police also found a blood-covered handsaw and machete next to the body. Police said Nathaniel Petgrave had been on a killing spree targeting homeless men in the Fort Lauderdale area. Authorities said Petgrave shot and killed 65-year-old Larry Scott in neighboring Lauderhill on Oct. 20, killed 50-year-old John Jackson in Fort Lauderdale on Oct. 21 and killed Tucker in Fort Lauderdale in Oct. 27. When detectives questioned Petgrave, they said he told them the number "4" written in blood was because he thought Tucker was the fourth person he killed. What he did not know was his unnamed second victim, who was shot in the neck and left for dead, remains hospitalized in critical condition. The victims were all homeless. Petgrave, police said, was also homeless and lived in a makeshift shack in Plantation, just outside Fort Lauderdale. He confessed to the murders but did not reveal why he targeted homeless men, according to police. "We don't think he specifically targeted those victims for any reason other than their availability," Fort Lauderdale police Sgt. Steve Novak said. Scott was shot while sleeping at an abandoned gas station in Lauderhill. The second man, who survived, was shot there the same morning. The next morning, Jackson was shot in the head in the parking lot of a Dixie Food Store two blocks from Fort Lauderdale's police headquarters. A week later, Tucker was killed while sleeping in a Public Storage unit in Fort Lauderdale. So how did police catch him? Petgrave first encountered police in late September when he was firing a gun for target shooting. An officer confiscated the weapon, but because Petgrave had a concealed weapons permit the gun was returned a few days later. A search warrant shows that at some point detectives got a tip that Petgrave might be their killer, and an arrest report says he was put under surveillance. Police saw Petgrave allegedly driving a stolen car and arrested him. Petgrave told police he buried his gun where he was camping out. It has not been found. He got out of jail on bond, and police believe he committed one of the murders two days later. Police said they couldn't arrest Petgrave on murder charges when he was picked up for auto theft. "When we had him here for the auto theft, we had some suspicions, but you can't get probable cause for an arrest warrant based off of suspicion," police Capt. Frank Sousa said. Detectives and investigators said they needed to wait to get confirmation from the crime lab that the shell casings from the Lauderhill murder matched the shell casings from the Fort Lauderdale murder. "We have to wait for ballistic testing to confirm that the rounds from Lauderhill and our rounds were an exact match," Sousa said. "It's not like TV, guys, where it's an hour." When Petgrave showed up at the police station to get some of his property back from his arrest for auto theft, that's when detectives arrested him in the killings. "Thank God we got him off our streets. Thank God that we have a safer street tonight, whether you be homeless or not," Mayor Jack Seiler said. 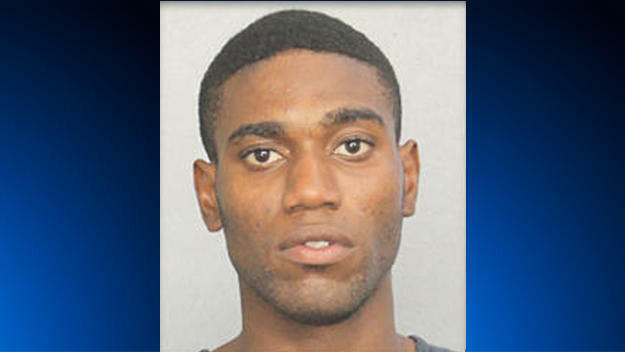 Petgrave was charged with three counts of premeditated murder and was being held in the Broward County Jail without bond. On Thursday, WFOR-TV tried to dig deeper into the timeline of Petgrave's arrest, specifically about whether Petgrave remained under surveillance after he was released from jail on his Oct. 24 arrest and before he allegedly murdered Tucker on Oct. 27. Fort Lauderdale police said they could not answer questions because of the ongoing investigation.